It's been a while since the last time I wrote about foods and today, I went to Robinson's Galleria mall in Ortigas Center. And just like any usual, when I am hungry either I go to food court or I would walk around to find a fine dining restaurant. A restaurant which had always caught my attention each time I pass by is Nasi Lemak Singapore Food Republic where they serve Singaporean, Indian, Chinese, Japanese and Malaysian foods. The restaurant had always been a lot of customers compared to its competing neighbors, that's why out of curiosity about its food, I dined in to satiate my cravings. I got the hot and sour soup first as part of my traditional taste when I go to authentic restaurant but their servings did not really meet my expectation because it wasn't the taste that came out I expected to be like other Chinese restaurants had. The taste is not really bad at all, but comparing to other restaurants which serve the same soup, I have my lists which you have to go with in terms of serving an authentic soup. I also got the appetizer, a crispy baby squid but the taste is good and is quite reasonable for the price, but it's not the usual appetizer that I'd love to eat. I don't have any idea how they cook it, but it seems like it was over fried. The main entree was served and I got Char Kway Teo Noodles with crunchy bean sprouts, peanuts, scrambled eggs and chinese sausages. It's one of their best selling delicacies served to their customers. But to my surprise, it wasn't the noodle that I really wanted to eat at all. It might be the noodle that some people would like to eat, but honestly it's not what I really like to eat in terms of eating a noodle. Well as for the price, it's quite reasonable but better try some of their best selling delicacies instead of this noodle. He is the pride of PSBA Quezon City’s Business Chorale, where he was club president in 1987. As a mentor of the organization, he continued to help members by conducting singing and acting workshops even after he graduated from PSBA. Romeo Arca, known as “Boyet” to his close friends, is gifted with a powerful baritone-tenor voice. It was pure talent that launched his career as a successful recording artist in 1991 where he became known as the Miguel Vera. He was also a member of the Organisasyon ng Pilipinong Mang-aawit or OPM. Prior to recording, he appeared in the Cosmos commercial, “Bagong Tunog”. 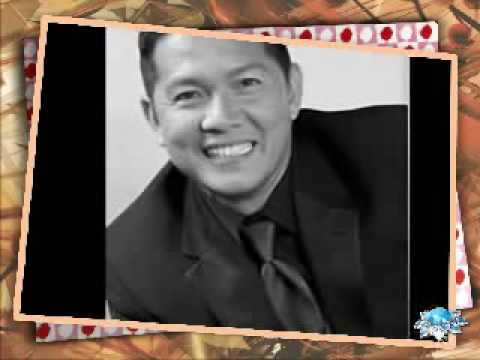 It was also in 1991 when he launched his album under Viva Records, “Nais Ko” where songs “Nais Ko” and “Narito Ang Puso Ko”, became instant hits. Narito ang Puso Ko became theme song of the movie by the same title, which starred Lorna Tolentino and Gabby Concepcion. Miguel Vera is now based in the U.S. and currently doing shows here and abroad. JM: Paano ka nagsimula as a member of Business Chorale? Do you still recall the song you had audition with? Or you had an exemption dahil as expected maganda talaga ang boses mo? Miguel Vera: No audition for me..hand pick ha ha and nag start yan ng puro lalaki lang kami..
JM: Who was your greatest influence that inspired you to become an artist? JM: Ah ok,for sure maganda din boses ng dad mo...• How were you discovered? Did you ever have a chance to join some singing contests before? that dami na offers na dumating. JM: OK I presume you have become an OPM artist? What was your first TV appearance? If I remember, una kita kaseng nakita sa Ryan, Ryan Musikahan with Ogie Alcasid. Miguel Vera: Yes that was the first and yup I'm an OPM member. JM: Pero sino favorite mong singer here and abroad? Miguel Vera: Local Basil Valdez, foreign Lou Rawls and Luther Van Ross. JM: And just to share with current BC members, paano mo hinuhugot angkin mong galling sa pag-awit? Miguel Vera: Ang paghugot ng galing nangagaling sa puso..di sa teknik..ang talent ini ensayo..there should always a room for improvement..pag pumasok sa utak mo na magaling ka na at wala ka ng kailangan matutunan..dun nagtatapos ang lahat at dika na aabante. JM: What is your message to current BC members? Miguel Vera: Sa BC members eto lang masasabi ko..abutin niyo ang kung ano man ang gusto niyong marating,be ready sa madaming trials,walang short cut sa lahat ng gusto niyong puntahan,be fair sa kapwa niyo at huli sa lahat..keep practicing your craft at lahat ng natutunan sa puso ilagay,wag sa utak baka magka hangin. It happened to be Independence Day in The US as I head up to Global City and I was surprised to see the big development that went through as far as the real estate is concerned. A lot of buildings have been built as it continues as the place has become more progressive and that was pretty fast to see how it is being developed. Shopping centers have a wide array and I was too quick to remind me the last time I visited Sta. Monica in California about more than two years ago. What comes in to my mind, is we have some beautiful cities in the island, not considering the southern part of the country yet. The other side of me tells me how ironical it is that Philippines is a poor country that dozens of buildings are built including high rise condominiums which an average wage earner could not even afford to buy a piece of land taking more than 10 years of savings before a person could buy one and that is if he or she have a saving around 3k a month. Huhh....that was pretty tough. What about your daily expenses a day such as foods, utility and transportation cost. I went to the mall at the same spot where different classes of people spend time shopping, strolling and dining. Unlike in the outside part where you can see few people walking and to my impression are those who belong to either A and B class in Serrendra. Global City is more developed and something new to a person who quite to seldom see or visit the place. So in the mall, I had a dinner in an inevitable resto at Mann Hann which I forgot to write down what I have ordered, hahah...it's something like a mixed seafoods with veggies. So it's time for me to go home by 7pm but was caught in the traffic as it happened to be in a rush hour. Then I came to a stop to the Shang mall for a bit of rest. It seems hard to believe that we are in the month of July and fast approaching that "ber" month which means Christmas season once again will just be around the corner. We just had our New Year recently and summer had just ended over a month ago. As soon as the summer was gone, we had the month of June as start of rainy season. The flood came about a week ago, it rained hard that caused the first flood in the year happened to be my birthday!! haha...And shortly after it subsided, then came another flood the following day. I usually start to reminisce things in the past, and the greatest moment that happened in our lives are things in the past. This is the time when we realize that our pasts aren't quite bad at all but something that we can always cherish as these days gone by. First thing I want to recall is the month I stayed in New York City last year. I love New York that I really wanted to go back as soon as possible. But few things have changed as the plan has temporarily put to shelf. But there's a big, big possibility for me to go back there this year and will try before the winter comes. It was also in the month of July when I stayed in the Big Apple, and I was renting a room from a Filipino couple who own a house in Elmhurst, about 15 minutes to Manhattan by the subway. It was Independence Day of the U.S. when Best Buy had its sale. Mitch, a physical therapist was my buddy and we both watch the fireworks seen at the Hudson River. Quite alone there, but I had so much fun as everyday I had to go to NYC and walk in Broadway, drink coffee and surf internet using my Acer laptop in Cosi Cafe, or go to Madison Square to spend another day in the university belt. I should be ready when I go back there, bring my camera and laptop, and find a good place to stay. But a big NO to Brooklyn that recalls me about that dirty hostel I stayed for about a week before I met Tita Julie during the Philippine Independence Day in New York.